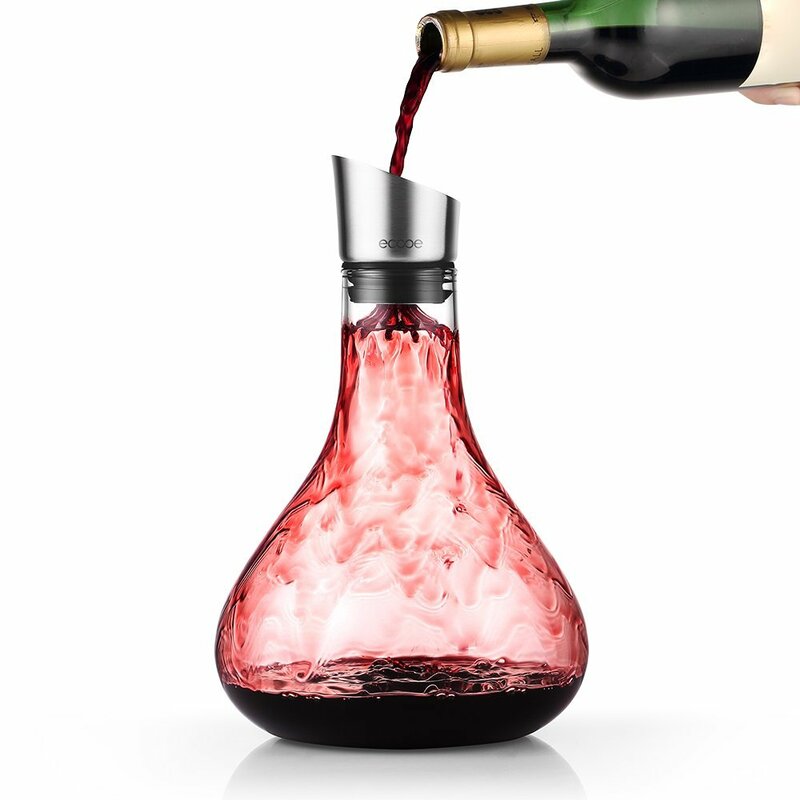 A decanter that aerates and decants wine at once — make the best of your wine. 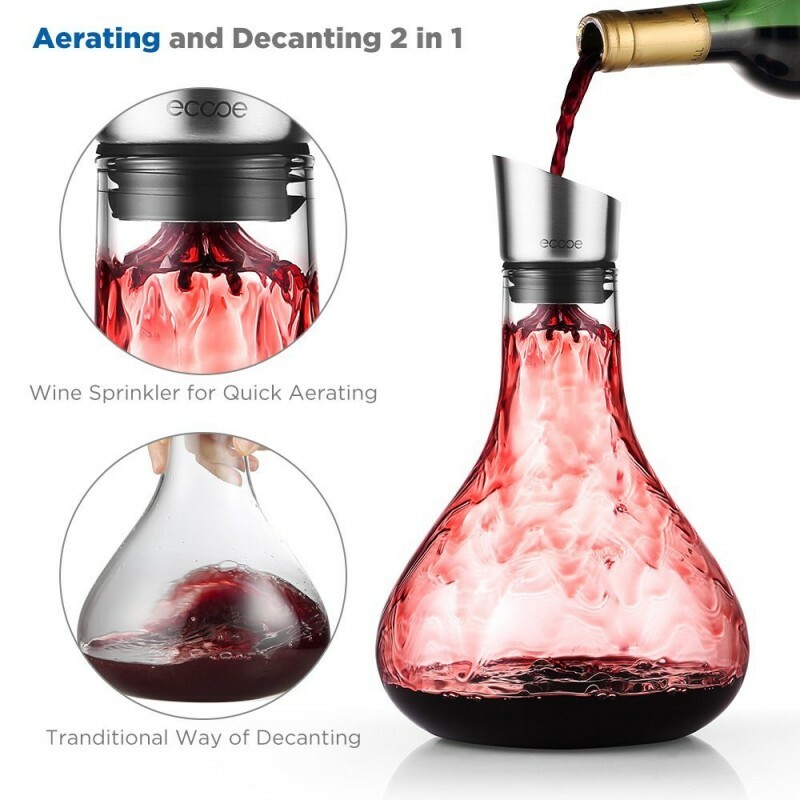 The unique lid enables the decanter to aerate and decant wine at the same time. 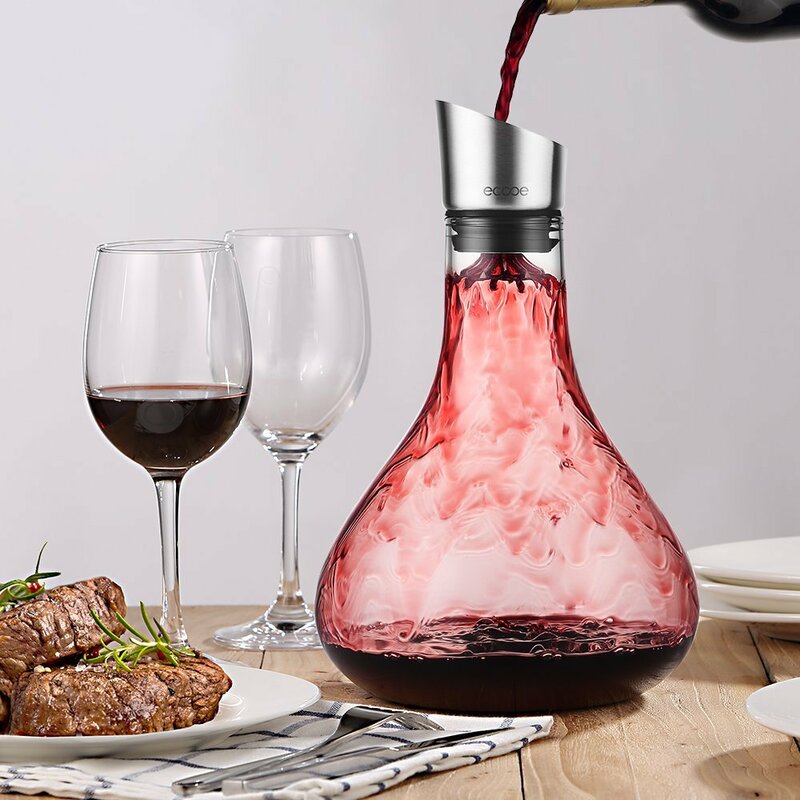 It lets wine pass through the scattered holes and spread from the sprinkler to get full contact with air, and thus to get a more complex and pleasing wine. 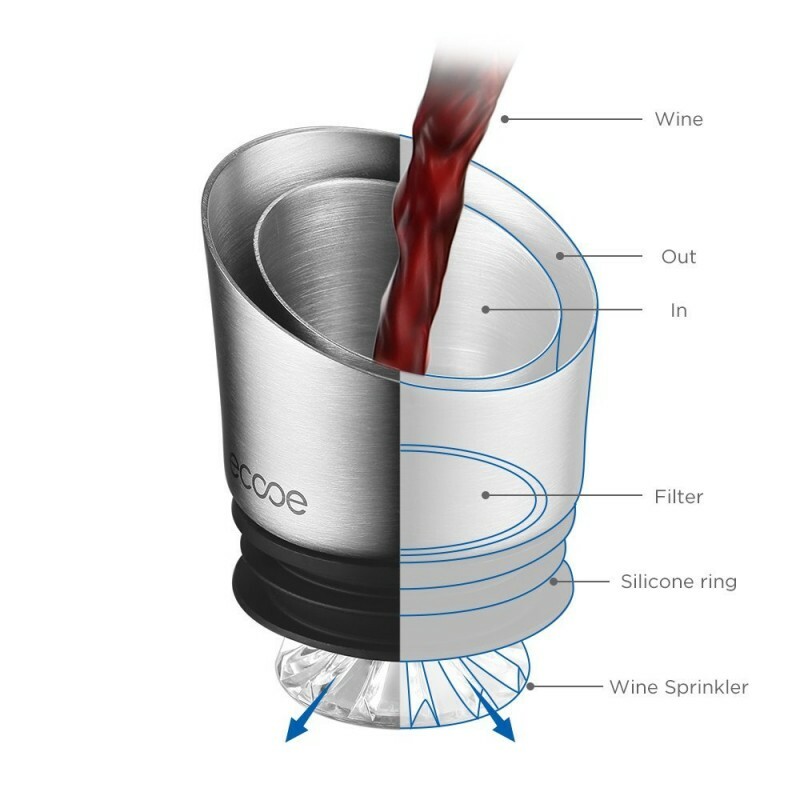 There is a filter inside the lid that catches sediment in the wine, so you can enjoy a pure and smooth taste. 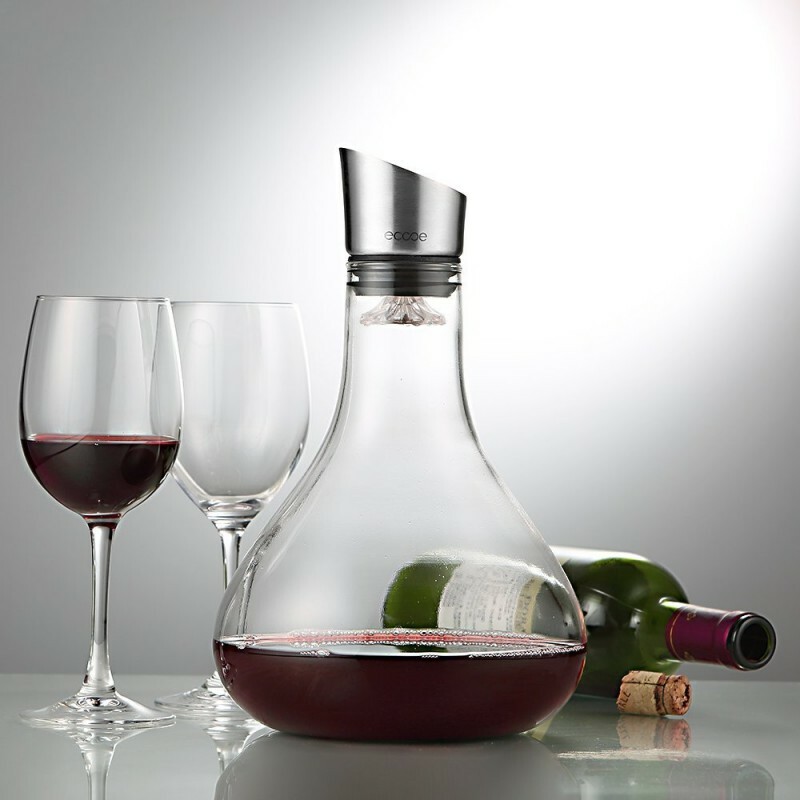 The oblique mouth of the lid helps to prevent dripping while pouring, and keeps the wine clean for drinking. 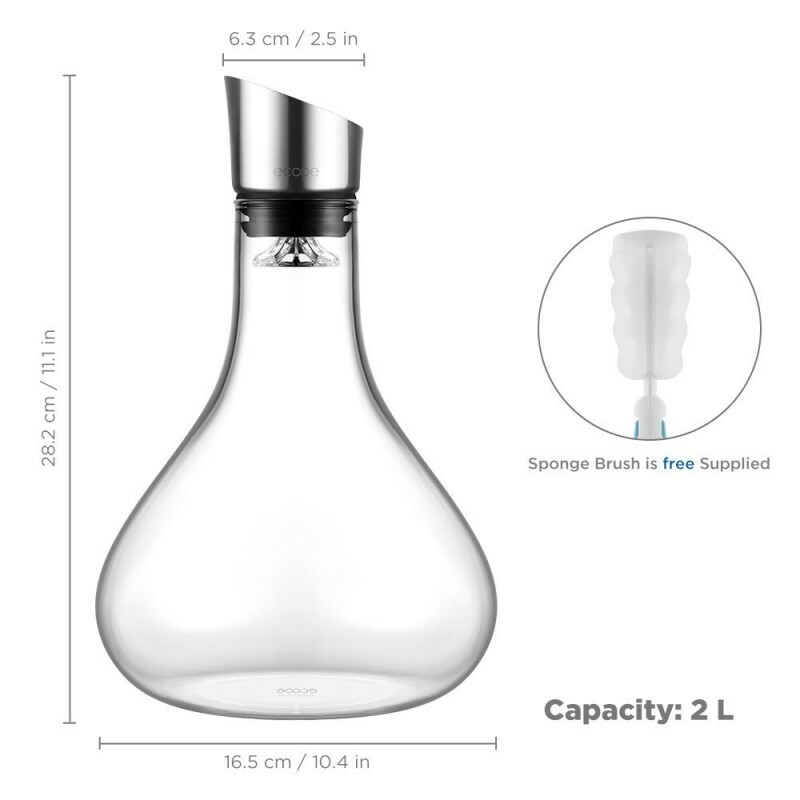 100% lead-free borosilicate glass carafe, stainless steel lid, natural and food-grade silicone sealing ring, together let you enjoy the wine with a peace of mind.